Download DA Form 17 also known as Requisition For Publications And Blank Forms. 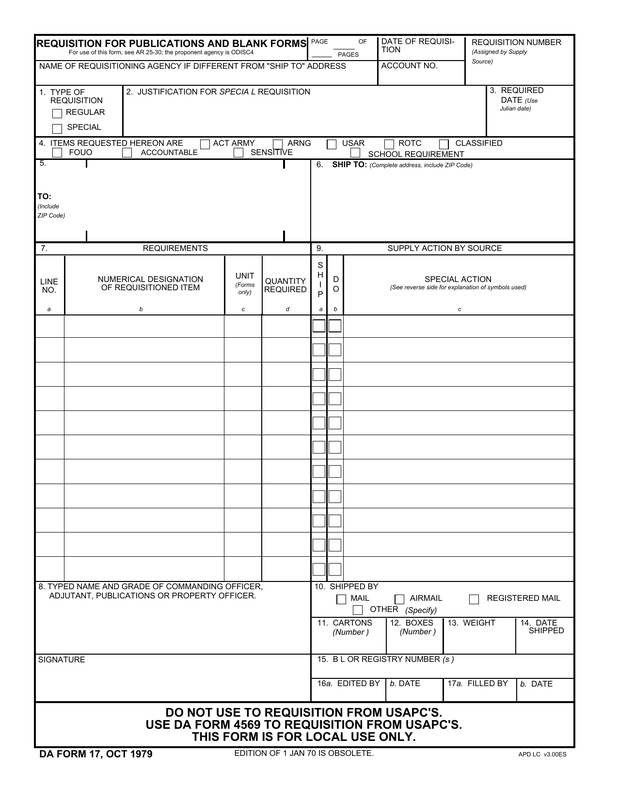 This form is used for the specific purpose of acquiring military publications or blank forms. This for is for local, unclassified use only. This form is fillable online and/or printable for manual use. 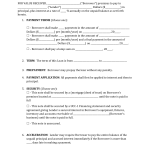 Check to be certain that the form has been properly filled in. 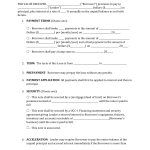 Email or send to the local agency.